On October 3, 2017, at the onset of the 2017 NBA preseason, The Players’ Tribune published an essay penned by Brooklyn Nets point guard, Jeremy Lin titled, “So…About My Hair.” Lin, a Taiwanese American, used the essay to announce his decision to don dreadlocks for the upcoming NBA season, and to welcome people’s comments about the appropriateness of his new hairstyle. Lin’s piece went “viral” within hours of its posting, with thousands of individuals sharing and commenting on it on social media platforms such as Twitter, Facebook, and Reddit. Many praised Lin for addressing the hot-button issue of cultural appropriation head-on. Others were noticeably less impressed by his stance. Among Lin’s critics was former NBA All-Star, Kenyon Martin. In a video-blog response to Lin’s essay, Martin stated the following: “Come on man, somebody need to tell him, like, ‘alright bro, we get it. You wanna be black.’ Like, we get it. But your last name is Lin.” Lin tweeted Martin shortly thereafter stating, “Hey man. Its all good you don’t have to like my hair and definitely entitled to your opinion. Actually i legit grateful you sharin it tbh. At the end of the day i appreciate that i have dreads and you have Chinese tattoos bc i think it’s a sign of respect…” While the so-called “feud” between Martin and Lin remained newsworthy for several more days, it was soon upended by a different type of drama — the start of NBA regular season.Because of his positioning in the league and larger society, Lin’s hairstyle is much more than just a hairstyle. While Lin’s 2017-18 season ended almost as soon as it began because of an unfortunate knee injury, we see his dreadlocks-decision as a defining moment in a year full of defining sport moments. Lin’s essay urged readers to use his hair as a jumping-off point for “uncomfortable” discussions on race and culture. We want to take up Lin’s challenge and suggest that the controversy encircling his dreadlocks encapsulates the liminal if not exceptional nature of Lin’s position as one of the sole Asian-American players in the NBA. Moreover, we think this discussion can better inform popular understandings of the intersection between race and the body, as well as provide a vision of sport’s strengths and limitations as a medium for cultural exchange. In the end, we argue that because of his positioning in the league and larger society, Lin’s hairstyle is much more than just a hairstyle. Professional athletes arguably possess the most highly celebrated, yet intently scrutinized of all bodies. They receive attention not only during competition but also away from it, with focus on their dress, their consumption habits, and even how they style their hair. It is no wonder that several professional athletes serve as models or spokespeople for major clothing brands, or that ESPN Magazine has an entire issue devoted to showcasing the bodies of professional athletes. With this increased attention, it is fair to say that athletes’ bodies hold social meaning that extends beyond the confines of sport and sporting cultures. As a result, what the athlete’s body does both during and away from competition has the potential to resist or reproduce larger social norms, patterns, and expectations. And, as sports scholars have noted, the latter is more common, with athletes and sport performance providing validation for pre-conceived beliefs about the “natural” advantages and disadvantages of race and gender. It should come as little surprise, then, that Jeremy Lin’s body, and the racial meaning applied to it, plays a central role in his positioning as both an NBA player and a cultural icon. From going undrafted out of Harvard, to his bout with “Linsanity” while on the New York Knicks, to his hair-related kerfuffle with Kenyon Martin, Lin has never been able to outrun his Asian-ness, no matter the quickness of his first two steps. Lin’s racialization is not unique to sport. Historically, the deviancy of Asian immigrant populations was emphasized by their apparent “non-normative” appearances and group practices. For instance, the penchant for early 20th century Asian immigrant men to occupy typically “feminized” domestic labor roles such as laundry, cooks, and maids, as well as their tendency to reside in large segregated “bachelor communities,” marked them as sexually “deviant,” ignoring the fact that structural barriers to immigration, work, and residency that Asian immigrants faced actually created these patterns. More contemporarily, one only needs to recall the sense of spectacle that followed Chinese sensation Yao Ming’s entry into the NBA fifteen years ago to comprehend the psychic dissonance caused by the presence of a towering Asian man within a historically black-white league. And we continue to see this pattern reproduced once again in the way that Lin, a second-generation Taiwanese American, is read today. On more than one occasion, discussions of Lin’s background led to a reflection on the career of the aforementioned Yao Ming, a player who shares little in common with the California-born Lin in terms of culture, body type, or playstyle. In addition to consistently being depicted as a foreign national, Lin’s personality and playstyle are often characterized as mirroring those stereotypes that personify Asian Americans writ large as the idealized “model minority.” Even with his aggressive style of play, his physicality is rarely the part of his game that receives attention. Instead, articles and discussion boards describe Lin as an extraordinarily “smart” and “hard-working” player, both of which are terms that, on the surface, recite like glowing praise. But one cannot ignore the flip side of Lin’s tokenization — the side that describes him as a “not terribly athletic Asian kid” whose race, not his play, contributed to his “hype.” In essence, Lin is an NBA player both because he is Asian American and in spite of it. This brings us back to the topic of Lin’s hair. Scholars and popular writers raise provocative questions about the symbolic importance of hair and about who (or what type of body) can wear what style. In the NBA, as in much of American culture, this is essentially dichotomized with black and white players having very different options. To be an Asian American player, then, is to be neither — to instead exist as a not clearly defined in-between. Lin’s presence in the NBA as one of the few recognizable Asian-American players only exaggerates his liminality. In the space of sport, where discussions about bodies and typologies are a constant, Lin seemingly defies categorization — neither white, nor black, nor European, nor even Asian. In essence, Lin is an NBA player both because he is Asian American and in spite of it. It is likely because of Lin’s Asian American-ness that his hairdos take on greater meaning and significance. For example, the buzz cut he favored throughout his college years and during his much-covered time as a New York Knick fit the popular media narrative of the “model minority” Asian American — as both straight-edged and hard-working. With his moves to Los Angeles and then Charlotte, Lin’s increasingly complicated and dramatic hairstyles — spikes, bowl cuts, mohawks, and man buns — were suddenly a source of humor and evidence of his exotic heritage and upbringing. While his more recent dos, including his cornrows and now infamous dreadlocks, do not fit nicely into the “model minority” narrative suggested by his previous cuts, it is again possible to read these styles through his defining status as Asian American. In these instances, Lin’s hairstyles adopt meaning because they do not easily map onto the body which they appear. To further understand Lin and the meanings of his hair, it is worth returning to the hardwood floor and attending to the cultural particularities of sport. Sport is a semi-independent social institution with its own relative sets of norms, histories, and social complexities that do not solely reflect those of the larger society. This holds true for the NBA with regards to race. While the NBA reproduces some of American society’s racist ideologies (ex: racist stereotypes about physical ability, intelligence, and appropriate styles of play) and dimensions of structural racism (ex: demographically uneven ownership, managerial, and coaching rates), it is also a space where blackness holds significant social power and cultural capital — something that does not ring true for many other areas of society, let alone other mainstream sports. Due to the efforts and struggles of generations of African-American players, blackness (and in some cases black politics) is central to the NBA’s contemporary commercial identity, to the point where it is readily made available for national and global consumption. This dynamic is evidenced through the generational cultural cache of successful black players like Julius Erving, Magic Johnson, Michael Jordan, and LeBron James, as well as through the celebrations of basketball as the physical embodiment of hip-hop and jazz by scholars and popular writers alike. Within this setting, Jeremy Lin is not merely an elite athlete of Taiwanese descent, he is one of the lone successful Asian Americans in a sport most directly connected to and embraced by black America. Lin’s article in The Players’ Tribune proves that he is not blind to the racial dynamics of the NBA. The essay acts as a platform for Lin to reflect upon his athletic identity after having spent much of his career defying categorization. Furthermore, Lin draws attention to the topics of race, culture, and power, all the while maintaining that basketball and his new dreadlocks can offer possible openings for the public interrogation of social categories and inequality. It is both expected and revealing that Lin engages with these subjects from the realm of sport — an arena that is popularly held up as the epitomic colorblind meritocracy. In the sense that sport is often billed as a medium for the productive and egalitarian exchange of culture, professional athletes and their bodies appear the ideal vessel for this cultural transference. When taken together with his social media back-and-forth with Kenyon Martin, however, Lin’s essay demonstrates the limitations of sport as a space to enhance public understandings of race. While Lin recognizes his dreadlocks may be appropriating elements of black culture and even urges people to reach out to him with their critiques, his essay and online interaction with Martin generally dismiss the important connection between bodily practices (black hairstyles & tattoos in Chinese), politics, power, and racial inequality. For black Americans, and even more so black women, hair is deeply political and meaningful in terms of identity and solidarity because natural black hair styles have been historically and contemporarily stigmatized by western, white culture (see cultural representations, employment discrimination, and targeted school suspensions). Ultimately, Lin understands Martin and his own adoption of their respective cultural styles as a sign of mutual respect, and importantly, without explicitly acknowledging the long history of black hair, stigma, and racial discrimination. The conversation ends there, with everyone, as Lin puts it, “entitled to [their] opinion.” So, while a form of dialogue does open about cultural appropriation and cultural sharing, it does not lead to a deeper public understanding of racism and its intimate connections to our bodies and cultural styles, nor does it contribute to a larger public dialogue and awareness of the systems that contribute to it. It instead ends with the perspective that sport is a site simply for positive and “happy” cultural exchange — a conclusion that unsurprisingly fits well within the narrative of Lin’s essay. While Lin recognizes his dreadlocks may be appropriating elements of black culture, his essay and online interaction with Martin dismiss the important connection between bodily practices, politics, power, and racial inequality. When is a hairdo more than just a fashion statement? Our response: Always. Much in the way that sport is not just a venue for athletic performance and competition, and the way that the body is not simply about human biology, a hairdo — especially when worn by one of the most prominent Asian American athletes in the world — is never just a hairdo. Jeremy Lin’s dreadlocks and their public response serve in many ways to reflect these broader realities by relating the intimate and personal (e.g., hairdos) to the cultural (e.g., beliefs and practices). That Lin felt compelled to write his essay, illustrates to us that he recognizes this link and the liminality of his Asian American-ness within a culturally and demographically black NBA. Where these connections fall short, however, is in their inattention to how certain actions and symbols attach more readily to different bodies, and what this means when one endeavors to use sport as a conduit for meaningful dialogue about racism and cultural difference. Of course, our goal as scholars is not simply to criticize Jeremy Lin, or the NBA, or even sports media, for their lack of engagement with critical race theory or critical sport studies. However, by only focusing on acts such as cultural respect and appropriation without considering the larger processes that contribute to how we come to understand culture in the first place, discussions about race and its attendant inequalities remain unavoidably superficial. It is only by recognizing the relationship between culture and the historical and structural conditions that shape society that we begin to move toward a collective dialogue that does not simply run in circles. Varda Burstyn. 1999. The Rites of Men: Manhood, Politics, and the Culture of Sport. University of Toronto Press. Burstyn offers a detailed but accessible historical overview of the process through which sport came to be seen as the preserve of men. This text is an excellent introduction to the long history of sport as one of the central sites used to demonstrate male physical superiority and female physical inferiority. Ben Carrington. 1998. “Sport, Masculinity, and Black Cultural Resistance,” Journal of Sport and Social Issues 22 (3): 275-298. This article provides a compelling ethnographic demonstration of how Black cricket clubs in England offer the potential for cultural resistance through providing a momentary opportunity for Black men to celebrate their masculinity and identity. When the club competes against other, predominantly white, teams from the region they see themselves as engaging in a larger racial struggle. In this reading, Carrington reveals both the political potentials and limitations of sport. Rosalind Chou and Joe Feagin. 2014. Myth of the Model Minority: Asian Americans Facing Racism, 2nd Edition. Taylor & Francis. Chou and Feagin provide an introduction to the “model minority” myth and the manner in which this discourse impacts the experiences and identities of Asian Americans. By incorporating an intersectional analysis of Asian American racialization, Chou and Feagin explain how the perniciousness of the “model minority” myth limit the portrayals and possibilities of Asian American women and men. Douglas Hartmann. 2002. “Sport as a Contested Terrain.” A Companion to Ethnic and Racial Studies. Wiley. In this short piece, Hartmann clearly articulates how sport does not necessarily serve a positive and progressive spot for racial politics and minority groups as popular ideology suggests, nor does it solely serve as a site for the reproduction of the inequalities that exist in society. Instead, sport offers a key site where our larger social understandings of race can be played out, made sense of, and even contested. Stanley Thangaraj. 2015. 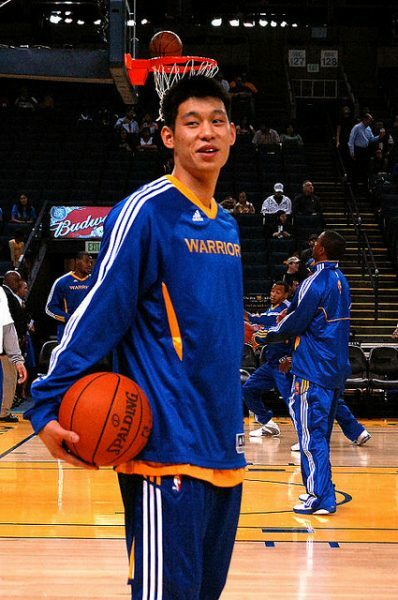 Desi Hoop Dreams: Pickup Basketball and the Making of Asian American Masculinity. New York University Press. This book provides a rich ethnographic analysis of South Asian American basketball culture and its relationship to masculinity formation and South Asian American identity. Thangaraj shows that South Asian American men attempt to claim cultural citizenship and work against stereotypes that portray Asian American men as effeminate, by representing themselves as athletic on the basketball court. But in turn these men use categories of their own marginalization to exclude women, queer masculinities, and other racialized and working-class masculinities. Stanley Thangaraj, Constancio Arnaldo, and Christina Chin (eds.). 2016. Asian American Sporting Cultures. New York University Press. This volume of essays provides a rare and needed focus on the heterogeneity of Asian American sporting cultures. The contributing authors demonstrate the fluidity and contradictions in Asian American identity formation through sport at different analytical levels. This includes historical analysis of the relationship between Asian Americans, sports participation, and U.S empire; Asian American sporting celebrities; interrogation of the model minority myth; and intersections between refugees and Asian American identity. 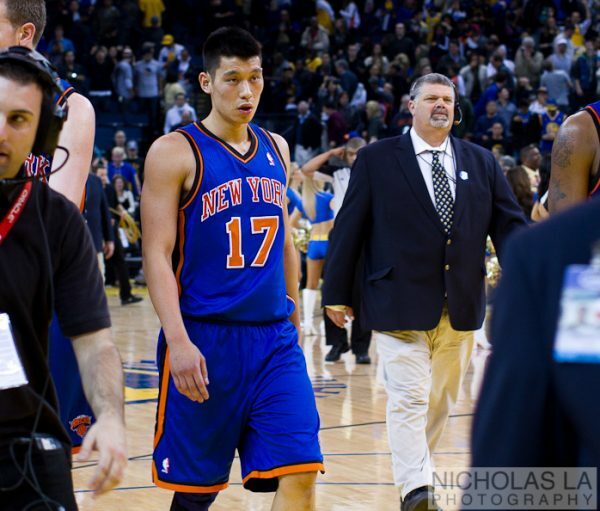 Of special relevance to this essay, two of the volume’s chapters focus on Jeremy Lin. Ingrid Banks. 2000. Hair Matters: Beauty, Power, and Black Women’s Consciousness. New York University Press. In this book Banks focuses on the everyday discussions that black women have among themselves and about themselves and analyzes how talking about hair reveals black women’s ideas about race, gender, sexuality, beauty, and power. Through forty three interviews Banks demonstrates that black women share a collective consciousness about hair and articulate this knowledge in a variety of ways. Ultimately, Banks argues that black hair is not just a matter of style, but fundamentally a cultural discourse about black women and power relations in the United States. Stephen Cho Suh is an Assistant Professor of Sociology and Women’s and Ethnic Studies at the University of Colorado – Colorado Springs. His scholarly interests lie at the intersection of race, ethnicity, gender, migration, and identity, especially in relation to Asian Americans and the Korean diaspora. Stephen Cho Suh is an Assistant Professor of Sociology and Women's and Ethnic Studies at the University of Colorado - Colorado Springs. His scholarly interests lie at the intersection of race, ethnicity, gender, migration, and identity, especially in relation to Asian Americans and the Korean diaspora.